“There’s nothing wrong if I skip breakfast, right?” Wrong! 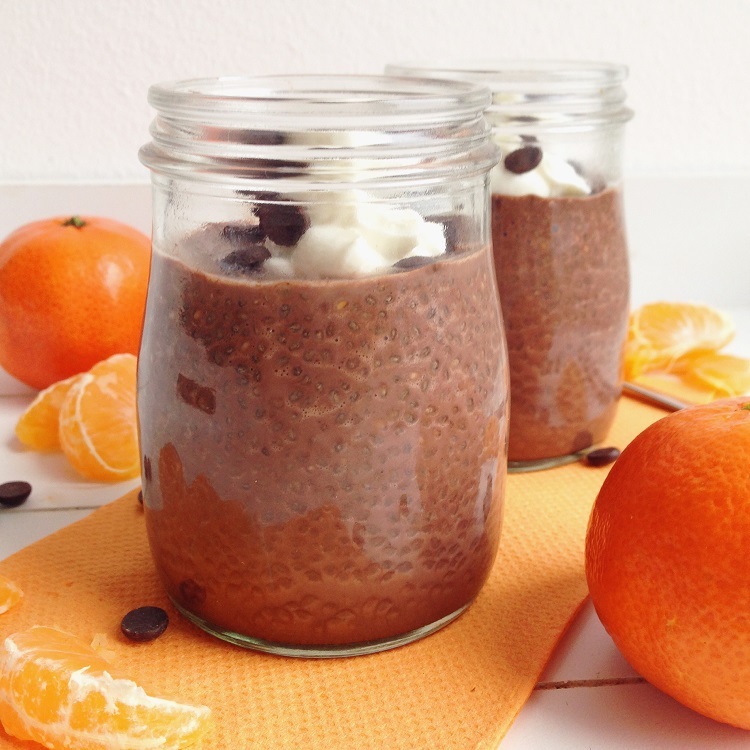 I know we all sometimes just don’t have the time to prepare ourselves a big nutricious breakfast in the morning but that’s where meal prep comes in – this chocolate protein chia pudding is just one of those breakfasts that actually has to be prepared a day in advance, but more on that later. First, let us talk about the importance of breakfast. More importantly, the importance of a high protein breakfast. And no, you don’t have to be a fitness freak or a sports fanatic to benefit from a protein rich breakfast. There is not a single health or fitness site that doesn’t talk about benefits of protein packed breakfasts. 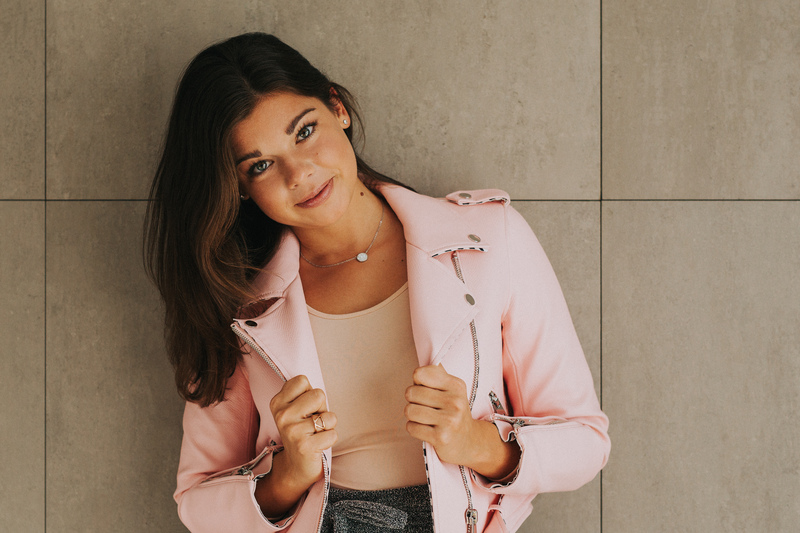 For example, Huffington Post published an article, saying that “according to a new study published in the American Journal of Clinical Nutrition people who enjoy breakfasts high in protein are less likely to consume foods high in fat or sugar later in the evening”. Also, according to LiveStrong, “those who ate a high-protein breakfast reported feeling less hungry later in the day than those who did not” and “if you feel fuller as a result of eating breakfast, you are more likely to make healthier choices throughout the day.” Just try it yourself – I sure know that if I eat cereal and milk or a sandwich, I get hungry way sooner than after eating eggs or protein pancakes. Eggs in an omelette or banana pancakes are a great, protein packed choice, but sometimes we just don’t have the time to prepare them. And this is where this recipe steps in. 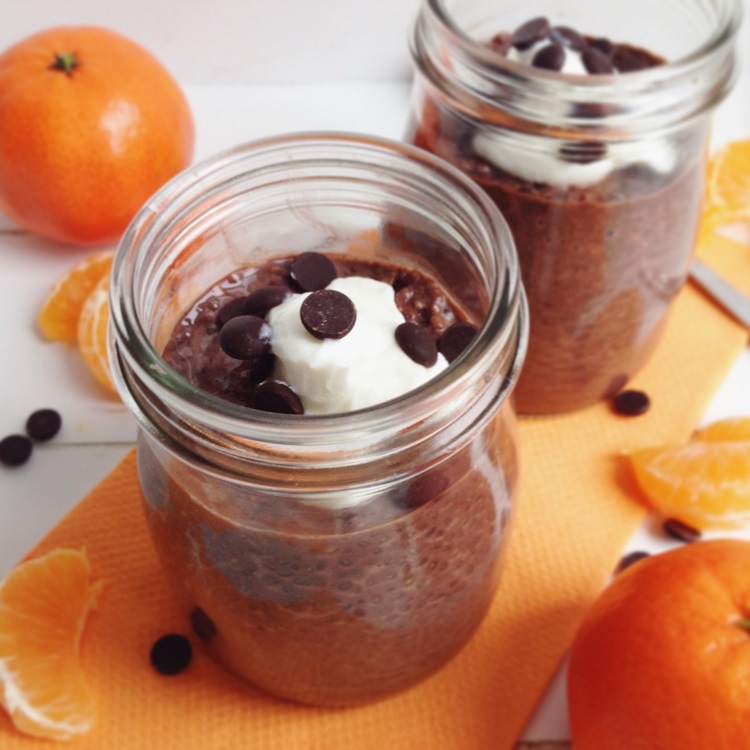 This chocolate chia pudding is super quick and easy to make. You just mix milk of your choice with chia seeds and protein powder, add some winter spices and cacao and refrigerate it over night. Voila, breakfast is ready! I gave the Chocolate Orange Whey Protein Powder a try and I have to say it really is what it says it is! Because don’t you just hate it when something says it tastes like something but in the end it’s just a sweet pile of tasteless powder? Well, I was really happy to find out that this powder really smells and tastes like oranges. And since it’s the happiest season of all oranges and chocolate should be combined with ginger and cinnamon and all the other “winter” spices. 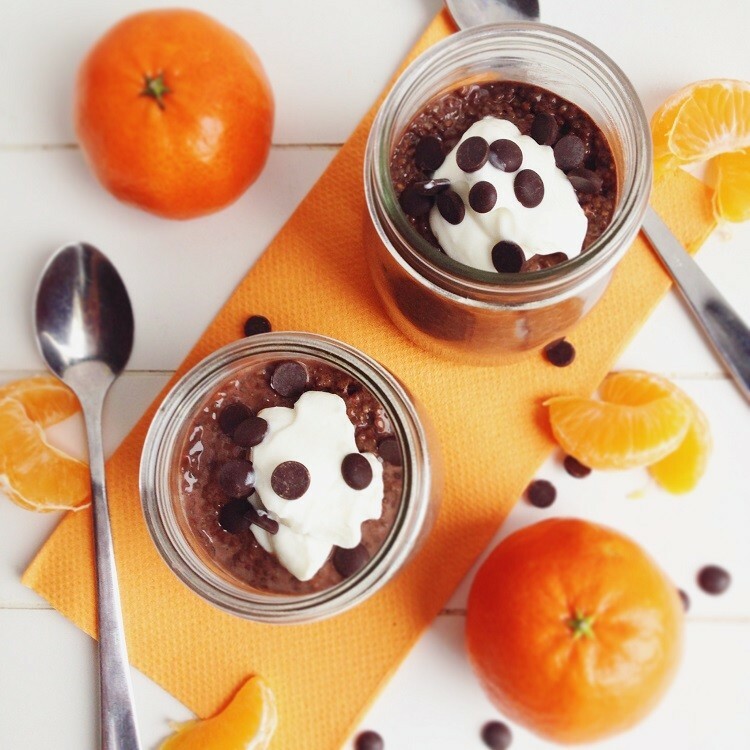 For some extra flavor, top your pudding with Greek yogurt and some oranges! Feel free to completely omit the protein powder if you don’t wish to use it. In this case, add a table spoon or two more cacao and a table spoon of a healthy sweetener such as Sukrin or Xylitol or add a bit of vanilla. Don’t forget to add some grated orange peel as well! A delicious protein packed breakfast for those days when you just don't have the time to make breakfast in the morning. 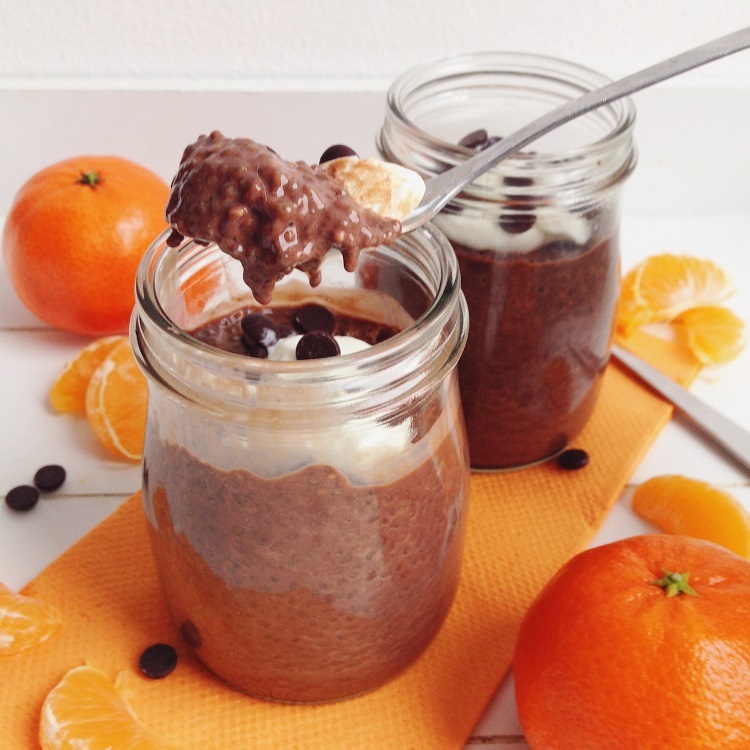 Oranges and winter spices will give your breakfast a holiday spirit. Mix all ingredients in a bowl. Transfer to serving cups and refrigerate for at least an hour or over night. Mix a little just before serving and serve chilled with some Greek yogurt and tangerines or oranges. A few chocolate drops won't hurt either!